I’m truly grateful that the amazing designer Ben DeRienzo was able to design the cover. And can I just tell you how much I love it?! Stop by Hallway Publishing to read more about the book and get all the scoop. And stay tuned around here for more details about release date, fun launch activities, some great giveaways, and more. 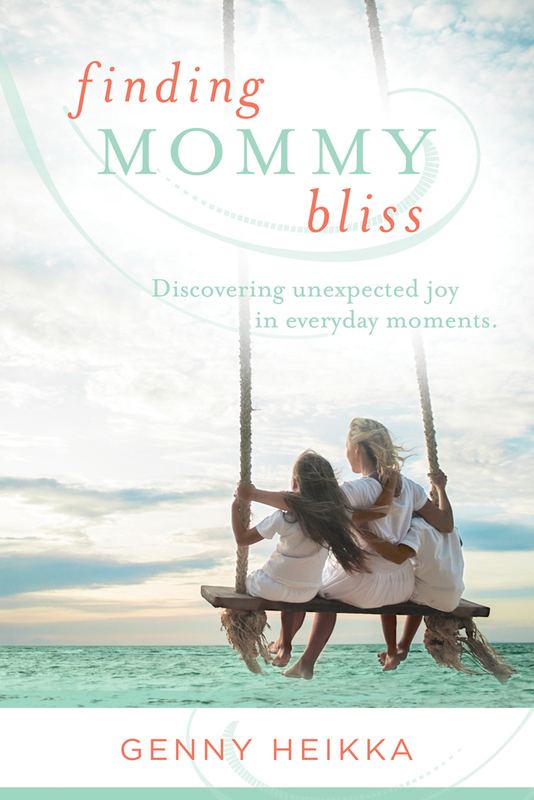 It will be a perfect chance for you to win a copy for yourself or another mom in your life just in time for Mother’s Day! And if you’re interested in being on my book launch team, or getting a free copy of the book to review on your blog, simply leave a comment or email me at genny(dot)heikka(at)gmail.com. I’d love for you to be part of it! The cover is beautiful. So excited for you! Thank you sweet friend! Hugs! Love the Cover! Beautiful! Congratulations!